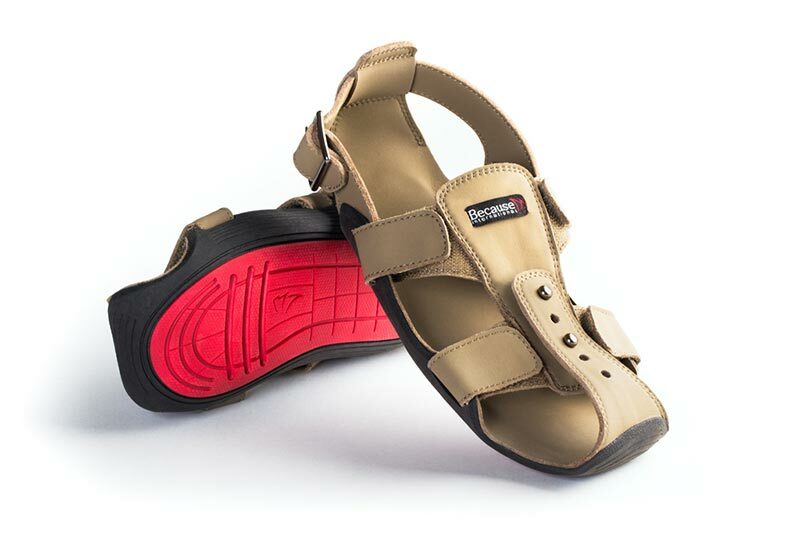 The Shoe That Grows – Leben und Lernen in Kenia e. V.
In the poverty-stricken slums of Kenya you will most likely see children walking around with shoes like these, or even barefoot. Children’s feet grow out of their shoes and parents often lack the money for new shoes. Without shoes, children are exposed to the various diseases and parasites transmitted through the soil. These diseases are even fatal in some cases. Sick children cannot attend school, cannot help their families and suffer unnecessarily. Children need to go to school – but the distances that they must walk are often very far. Children are not allowed to attend school in Kenya without shoes. The American, Kenton Lee, founder of “The Shoe That Grows”, watched a girl walking around with too small shoes during his visit to Nairobi. This affected him very much and gave him the idea of ​​a shoe that could adapt to growing feet for years. Several prototypes of such a shoe were made and 5 years later, this shoe was ready for production. The company he founded has sold well over 100,000 pairs of these shoes in over 90 countries. The first shoes were produced in China – because of the lower price for a good quality. But now they are producing the shoes where they are needed the most and where jobs are needed. For the East African region, which also includes Kenya, the shoes are produced in Ethiopia with a warehouse in Nairobi. A pair of “The Shoe That Grows” costs 18 US$. Live and Learn in Kenya Int’l is now collecting money to buy these growing shoes so that all of the needy children in the program can receive a pair. So far 198 pairs have been donated.